Are you a certified firearms instructor, and want to increase the enjoyment, effectiveness, and profitability of the courses you teach? If you answered YES! To this question, here are three reasons why you need to become an OurSafeHome.net (OSH) certified instructor. 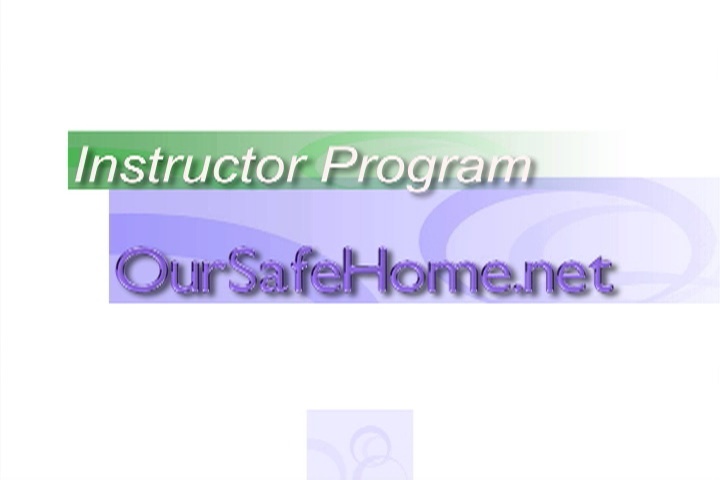 OurSafeHome.net provides high quality online training programs specifically designed and produced for use by trained and qualified firearms instructors. Using cutting edge instructional design methodology and technologies, these programs enhance the training process to the benefit of both you and your students. For example, your students can complete the academic requirements for a CCW permit or license by enrolling in our online CCW course. Successful completion of this portion of training qualifies them to attend one of your Live Fire Clinics. After successfully completing the Live Fire Clinic, you present your students with an OSH Diploma, which can be used to obtain their CCW License/Permit/Endorsement. Your days of speaking in crowded seminar rooms at gun shows or spending hours on academic lectures with one or two students are gone! By completing the online training process, students arrive at the range fully trained in the basics, excited and ready to shoot. A group of six students can easily complete a Live Fire Clinic in about an hour. Advantage 3 - Almost NO Paperwork! Say goodbye to the "paperwork jungle!" The online training system records every page, picture and video the student sees and every right and wrong answer to test questions. This is all done automatically, without you having to do anything. When the student completes the OurSafeHome.net Live Fire Clinic you conduct, you log onto the training system with your OSH Instructor user name and password, enter the details of the training event and "certify" that they mastered the training objectives. You print out, sign, and present the Diploma. That is it! Buy at wholesale and sell at retail. The instant you become an OSH Firearms Instructor you are virtually in business for yourself! You don't have to set up a place of business, acquire property, build a classroom, or set and keep store hours. You make money with this training system by recruiting students. You can purchase "Gift Certificate Codes" from OurSafeHome.net at the wholesale price in packs of 5 or 10 and then resell them to students that you recruit at the retail price. Need marketing advice, or have a question on how to market, sell, or structure your training courses? Contact us using the button on the menu! This program is open to certified firearms instructors only. If you cannot produce credentials, please do not even apply.